After a successful career as a toy company executive, Northern California businessman Bob Nations was looking for a new challenge that could put his considerable experience to good use. He has been a Senior Helpers owner for 10 years with the opening of the Napa office in February 2008, and has expanded the business to where it now includes the territories to the East and West of Napa. Gain greater insight into the business & simplify and expand access to operational systems. Companies that experience rapid growth often struggle with scale, and Senior Helpers North Bay was no exception. After trying three different software systems to help with the operational side of the business, Bob finally found what he needed with the fourth in ClearCare. With ClearCare, Senior Helpers North Bay gets the comprehensive web-based, scheduling, and business management software that his employees and caregivers can use from anywhere, on any device. In-home care is about compassion, and it takes a special kind of person and skillset to do it successfully. Prior to ClearCare, Senior Helpers North Bay had difficulty matching up caregivers with clients. The software the company tried had matching systems, but they were difficult to use and navigate and couldn’t be counted on to reliably correlate skill with location. Another area important to Senior Helpers and how Bob runs the business is communications. Before ClearCare, messaging was disconnected from the management system. Without integrated communications, the company had to use a 3rd party app to broadcast open positions to its caregiver base, then manually capture the conversations and enter them back into the system to retain a record. That also made it difficult to leverage the data contained within the messages for other business purposes. Like with its communications, the company’s accounting system was disconnected from key back-office functions, such as timekeeping, which made invoicing, payroll, and credit card processing complex and time-consuming. As a result, Bob was also missing the big-picture view of the business he needed to plan strategically, report and draw insights from key performance indicators, and make smarter short- and long-term decisions. 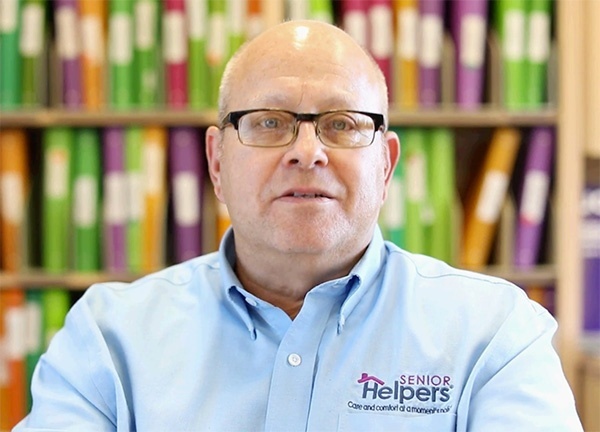 As a Senior Helpers owner, Bob has access to the ClearCare platform, which offers home care agencies a powerful suite of integrated features and capabilities for managing a successful in-home care business. While it was the web-based scheduling utility that first sold Bob on ClearCare, he and his team quickly saw the benefit of the extended platform and have increased their utilization to where they are now taking advantage of almost everything the suite has to offer, from scheduling and role-based reporting to credit card billing, financial reporting, marketing, recruiting, and workman’s comp insurance. Every morning, the first thing Bob does is log into the ClearCare system to view his dashboard. ClearCare’s role-based dashboards are configured for each major functional responsibility (senior management, sales, customer service, marketing, etc.) and give users tailored information and visualizations that support their specific needs. Plus, standard reports, such as the Gross Profitability and KPI, give management the big-picture view of the business needed for smarter strategic planning and investments. The need for care can arise at any time of the day or night, and one of the biggest drivers behind Bob’s decision to find a new management solution was to help his schedulers find a better and faster way to match caregivers with clients. ClearCare’s web-based scheduling utility provides Senior Helpers North Bay with a unified hub for handling all of the tasks associated with setting a home care appointment. From the calendar view, schedulers can find qualified caregivers, message them with a shift availability, confirm the visit, capture notes, and check on late or missed appointments, all from one place. And because the platform is web-based, Senior Helpers’ on-call schedulers can now access the system and set appointments from anywhere. ClearCare delivers Bob a one-stop solution to recruit, match, and retain qualified caregivers. Senior Helpers North Bay uses the customizable recruitment webpage to attract and screen new applicants. With the built-in employment application and background check, Senior Helpers can onboard new caregivers directly through the system without touching or producing a single piece of paper. Once onboard, the franchise uses the tag system to build a profile for caregivers (and clients). The tags create metadata that can be used to sort caregiver by skill, experience with certain conditions, and location, making it easy to create matches through the care finder utility. ClearCare also includes a system for directing clients’ care and evaluating caregiver performance. The care plan is built into the system and lets Senior Helpers transmit the detailed care instructions to the caregiver before they arrive at the home. The system lets caregivers annotate the plan with their feedback, which helps create a clear chain of communication that keeps everyone on the same page. The annotated plans also make it easy for the franchise to assess the quality of care and evaluate caregiver performance. Senior Helpers North Bay uses ClearCare’s Payment Processing for credit card billing to simplify client invoicing and payments. With the web-based platform, caregivers can invoice and collect client credit card information for payment at the point of care. Integration between Payment Processing and Senior Helpers’ accounting system (QuickBooks) is handled through the ClearCare interface. One of the biggest improvements to his operations Bob has seen since starting with ClearCare has been in the area of scheduling. Senior Helpers’ on-call schedulers can respond to requests for care from anywhere, at any time. “Instead of on-call schedulers having to lug around and boot up a laptop, they can just take out their smartphone or tablet, access the system and do the scheduling right on the spot,” said Bob. In addition, the tagging and single access point system shaves valuable time off the search process and ensures clients are always matched with the most qualified caregiver. The integration with messaging has also made it easier for Bob to report on and analyze caregiver performance and respond to EDD claims. The visibility that ClearCare provides helps Bob stay compliant with HR policies. “The system captures the texts we send and allows us to run reports on caregivers and what shifts we’ve offered to them, so when at EDD hearings, we’re able to provide detailed information on the shifts they’ve accepted or rejected,” said Bob. ClearCare’s reporting and analytics have also given Bob a bigger-picture view of his operations and have helped him restructure and improve parts of his business, including how he compensates his marketing team.